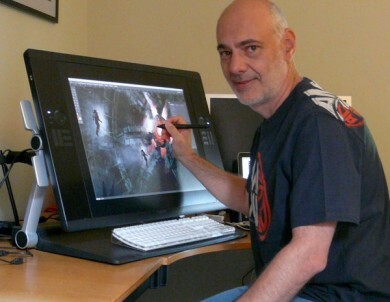 I find this picture of Fred Gambino in front of his Cintiq 24HD. (I take it from here). 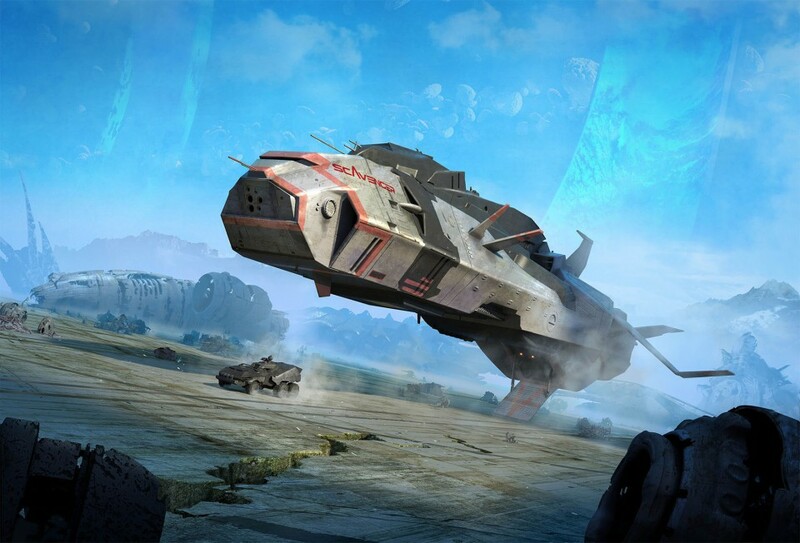 Fred Gambino is a SF digital illustrator (now we call that a concept artist – he worked for Gardians of Galaxy). Mais ça, c’est Now he works on computer with Photoshop (…Adobe Photoshop). Before he used traditional techniques like painting with real brushes. 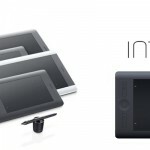 On internet there are very few images of his previous works. I have a book. I did something like that. In fact (that is the purpose of his post) Look this picture above. 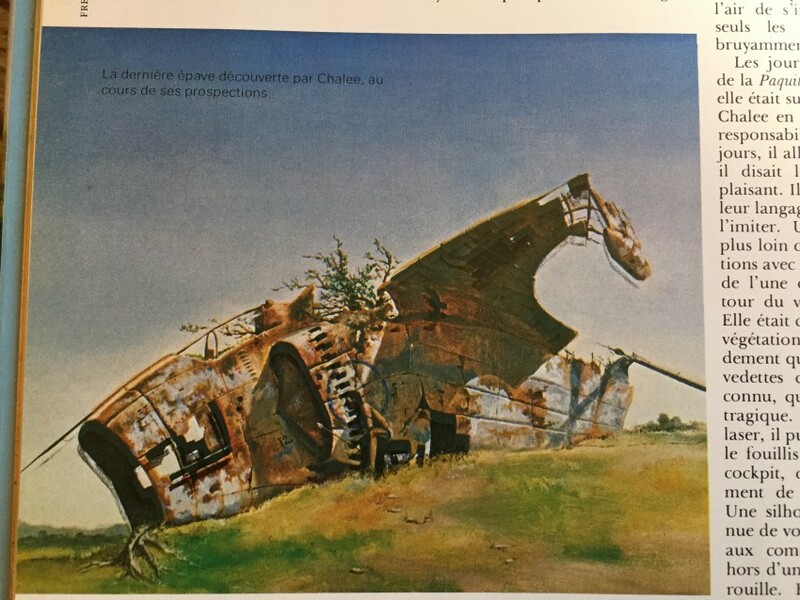 This painting comme from a book by S.Cowley called « les Épaves de l’Espace » (french Dargaud edition 1980 – p.42). I get an another book, « Encyclopédie de la Science Fiction » (french edition CIL -1980) directed by Holdstock and prefaced by Asimov. At page 98, we can see this rough made with pencil. See it below. 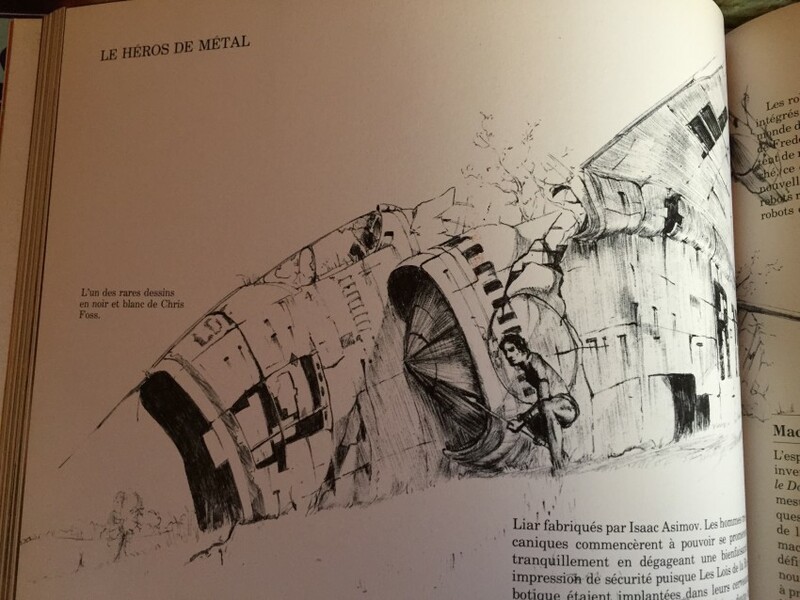 But this drawing is assigned to Chris Foss. You can compare the both works. This is teh same stuff. Copy or mistake?